We're almost back to normal now! At least when it comes to Monday mail posts... Christmas and the blizzard we got messed up the regular postal schedule and I still got some holiday cards early last week. 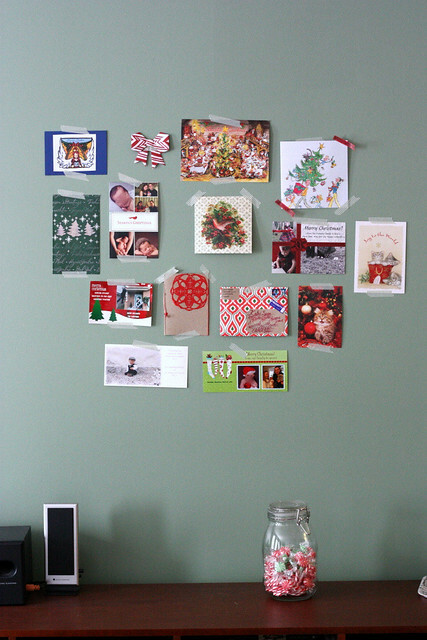 So, this is (hopefully) the last week with a mail love post that's a tad Christmassy and all over the place. Before we get into more detailed photos of the outgoing and incoming mail, I wanted to show you a collection of incoming holiday mail. I wanted to display the cards we got, so I taped them to the wall in the living room. I think the display turned out awesome and I don't see why I wouldn't do this with regular mail too... Maybe not in the living room, but I think it would look fun next to my work space. 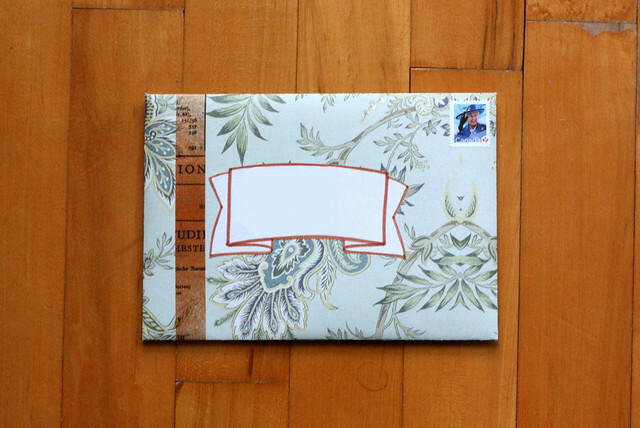 Another great use for washi tape! 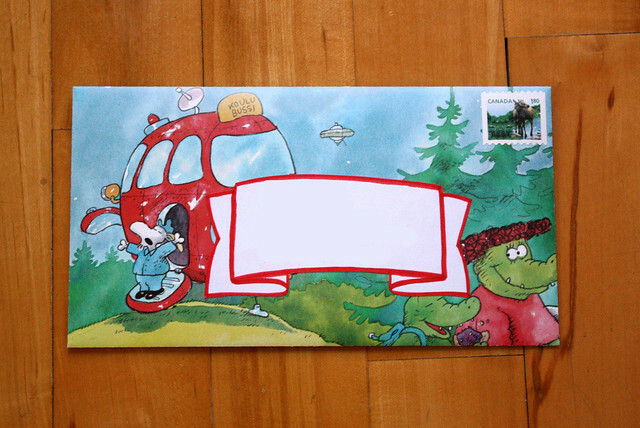 Another one of my brightly colored, all over the place pieces of mail. 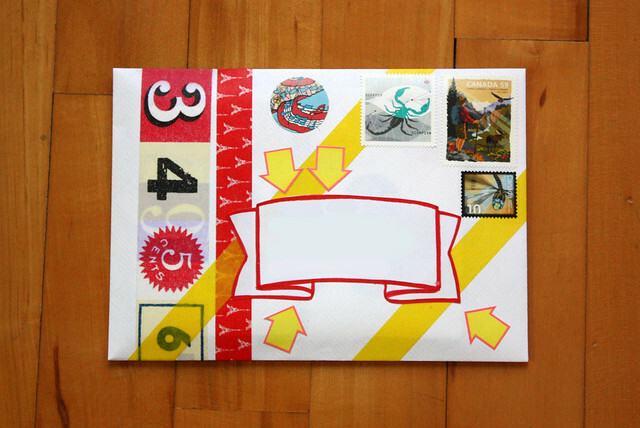 Sometimes I just feel like adding everything on an envelope. Other times simple is better. The top one is made from a piece of drawer liner, so it smells like lilies and the second one is made from a book page. With all sorts of things coming in the mail, I wanted to share the few that aren't for Christmas. 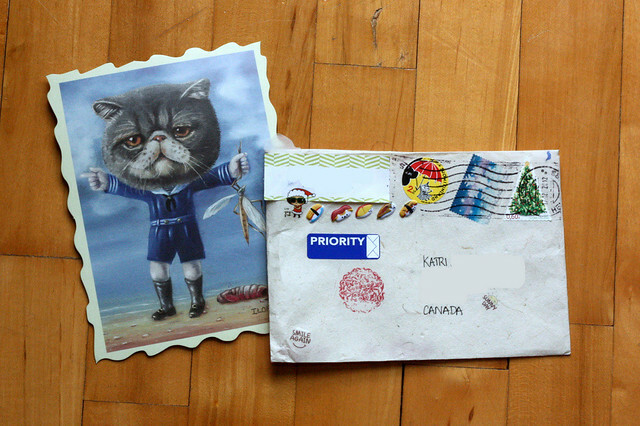 A cat postcard from an art exhibit and a letter. The envelope has puffy sushi stickers... Pretty awesome. Thank you! So, have you returned to regular mailing?